I’ve tried a lot of vegan brownies which are dry, crumbly or ‘raw’. 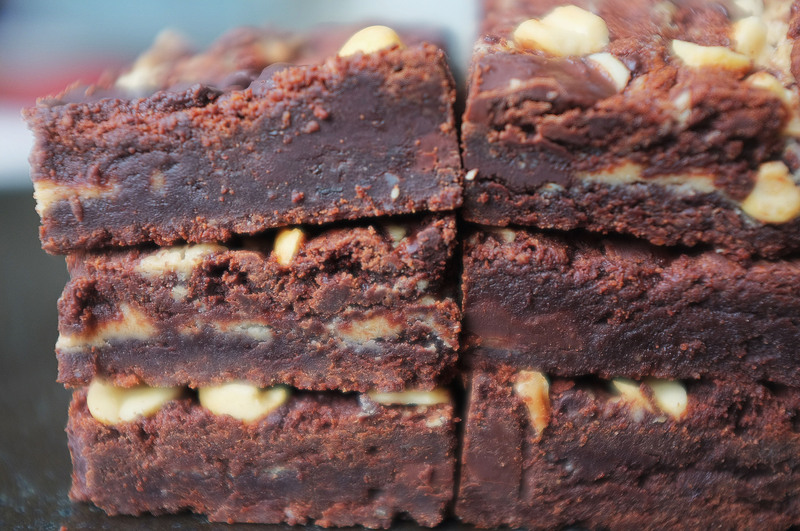 Sure, there’s a time and a place for healthy alternatives and we can’t just slob around eating sugar-laden baked goods all day, but if I want a brownie and I’m vegan (I’m not I’m just being really selfless…) I want the real thing, not a load of dates and coconut oil. With this not-very-2018 thought in mind, I’ve been attempting to put together a recipe for a completely vegan and gluten free brownie which rivals a conventional dairy/egg based one. 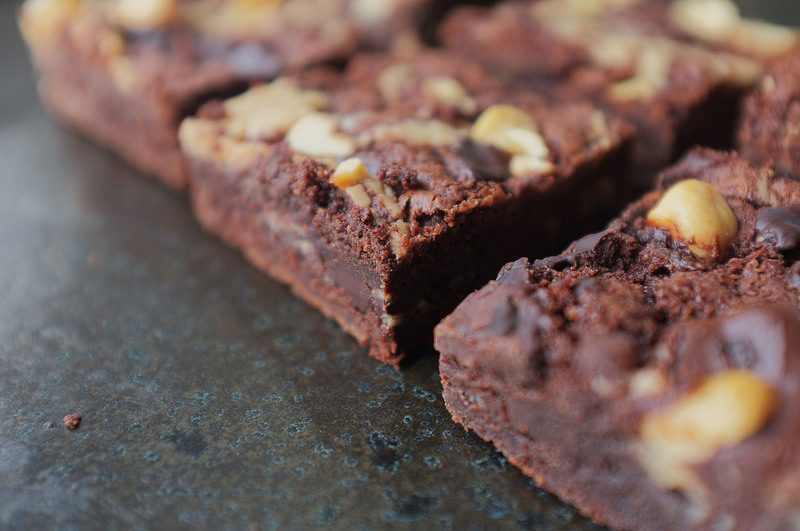 The recipe I’ve devised delivers a fudgy core and crisp top, rich flavour and all round delicious result- give it a try, it’s a good place to start with vegan baking. Preheat the oven to 180c. Grease and line a 20x20cm square brownie tin. Mix together the flaxseed and water at this stage to give it time to thicken an form an egg-yolk consistency. Put the oil, peanut butter and 275g of the chocolate in a heatproof bowl and set it over a saucepan of gently simmering water. Allow the ingredients to melt together, stirring occasionally, then remove from the heat to cool to room temperature. Place the aquafaba in a large bowl (or bowl of a stand mixer with whisk attachment) and whisk until soft peaks just form. At this stage add in the flax mixture, sugars and salt (it’s amazing how much this looks like eggs whisked together with sugar!). Whisk again until the sugars are well incorporated then fold in the cooled chocolate mixture with a metal spoon, followed by the flour. Scrape half of the batter into the prepared tin then dot over half of the extra peanut butter and some of the chopped chocolate. Top with the remaining batter and repeat the peanut butter/chocolate stage, then finish with the peanuts (if using). Bake for 25-35 minutes or until crisp on top but very slightly wobbly in the middle. Leave to cool completely then slice up and serve. You had me at dark chocolate and peanut butter. But gluten free too? Doing the happy dance. LOVE it! Thanks so much for your recipe!